One of Europe’s fastest growing steel trading companies with strong alliances to mills around the globe. The Creative Agency have had a long established relationship with All Steels Trading Ltd, who are one of Europe’s fastest growing steel trading companies. The Creative Agency was first commissioned to create the new corporate identity for All Steels Trading over a decade ago, and the relationship grew from there. 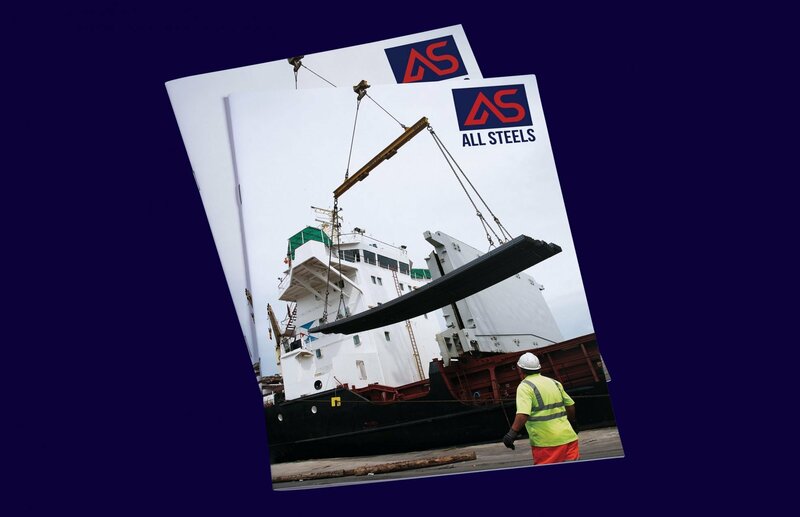 Throughout our partnership, we regularly update the ever changing All Steels Trading brochure and design bespoke marketing materials for the company to use throughout the year. The range of marketing materials produced are quite varied and include anything from general advertisements to a bespoke Christmas advent calendar. In addition, we also fully customise the company exhibition stands that appear all around the globe! 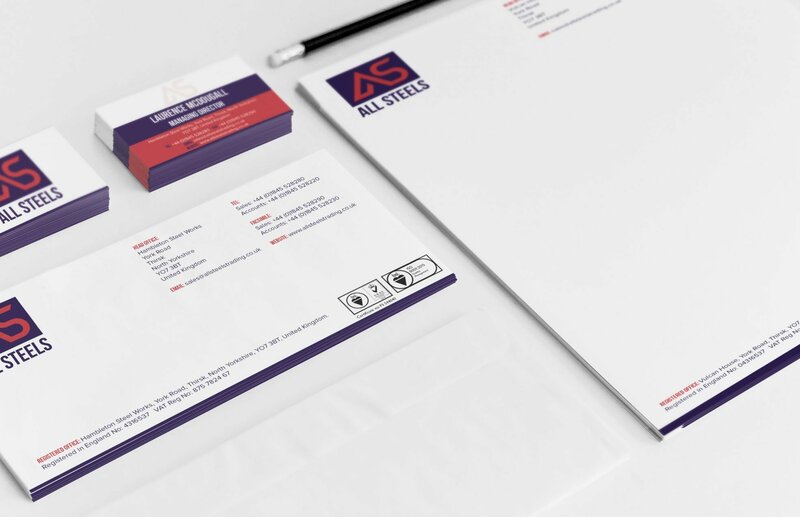 As the company grew to become an internationally recognised brand, it was decided that the current brand identity was in need of a freshen up to bring it in line with a more modern design style. The Creative Agency were commissioned again to re-brand the business which included a complete redesign of all marketing literature to date.